In my article last week, I spoke about one of the most glaring lacunae of the modern Roman Liturgy, namely, its deliberate suppression (in the Mass, in the Lectionary, and in the Liturgy of the Hours) of 1 Corinthians 11:27-29 — verses that contain a warning particularly important to hear in an age of laxity, indifferentism, and horizontal humanism in worship. Our forebears in the Faith thought it was crucial to reinforce St. Paul's warning. The early 16th-century tapestry above, hanging in one of the innumerable galleries of the Louvre, depicts two miracles — not miracles of healing or salvation, but miracles of dire punishment of unworthy communicants. The left panel tells the story of a man who received the Eucharist in a state of mortal sin, and it burned a hole through his neck. The right panel tells the story of a priest who was celebrating Mass in a state of mortal sin, and his hands burst into flames. A modern Christian may smile at such "medieval fantasies" and reassure himself that God does not act so harshly. Perhaps we have forgotten the story of Ananias and Sapphira in the Acts of the Apostles (5:1-11), where God strikes two Christians dead for telling lies about their donation of wealth. St. Paul tells us, in 1 Corinthians 11:30, that due to unworthy communions some have become sick and others have died. Is that a superstitious view, or did St. Paul know something we have forgotten? It is true, nevertheless, that in the ordinary course of His Providence, God does not punish sinners immediately; we know this from Scripture, from history, and from experience. The vast majority of unworthy communicants or celebrants do not erupt into flames. This does not, however, mean that their communions are not unworthy; it means that the Lord has refrained from punishing them on the spot, in view of their possible repentance, conversion, and restoration to His divine friendship by the gift of sanctifying grace. All the same, each and every Catholic is under a serious obligation to examine his or her conscience prior to approaching the sacred banquet, in order to avoid offending God and incurring further guilt. In our tradition we find great preachers who took seriously their obligation to prepare the faithful for Holy Communion by, on the one hand, extolling the joy, peace, and glory that come to us through grace-filled communions, and, on the other hand, by warning, in no uncertain terms, of the destruction of soul that results from a wicked communion. An exemplary preacher in both of these respects is the Curé of Ars, St. John Vianney, whose meditations on the Holy Eucharist are magnificent and worthy of much study by today's clergy. Since the positive side of the message is just about the only thing one hears nowadays, as if the negative side did not even exist, it will be more beneficial in our present situation to have some excerpts from his "Sermon on Unworthy Communion," in tome IV of his Sermons inédits. Unworthy Communions are frequent. How many have the temerity to approach the holy table with sins hidden and disguised in confession! How many have not that sorrow which the good God wants from them, and preserve a secret willingness to fall back into sin, and do not put forth all their exertions to amend! How many do not avoid the occasions of sin when they can, or preserve enmity in their hearts even at the holy table! If you have ever been in these dispositions in approaching Holy Communion, you have committed a sacrilege — that horrible crime, on the malice of which we are going to meditate. 2. Whoever communicates unworthily crucifies Jesus Christ in his heart. He submits him to a death more ignominious and humiliating than that of the Cross. On the Cross, indeed, Jesus Christ died voluntarily and for our redemption: but here it is no longer so: he dies in spite of himself, and his death, far from being to our advantage, as it was the first time, turns to our woe by bringing upon us all kinds of chastisements both in this world and the next. The death of Jesus Christ on Calvary was violent and painful, but at least all nature seemed to bear witness to his pain. The least sensible of creatures appeared to be affected by it, and thus wishful to share the Saviour’s sufferings. 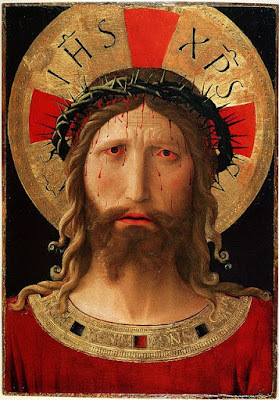 Here there is nothing of this: Jesus is insulted, outraged by a vile nothingness, and all keeps silence; everything appears insensible to his humiliations. May not this God of goodness justly complain, as on the tree of the Cross, that he is forsaken? My God, how can a Christian have the heart to go to the holy table with sin in his soul, there to put Jesus Christ to death? 3. Unworthy Communion is a more criminal profanation than that of the holy places. A pagan emperor, in hatred of Jesus Christ, placed infamous idols on Calvary and the holy sepulchre, and he believed that in doing this he could not carry further his fury against Jesus Christ. Ah! great God! Was that anything to be compared with the unworthy communicant? No, no! It is no longer among dumb and senseless idols that he sets his God, but in the midst, alas!, of infamous living passions, which are so many executioners who crucify his Saviour. Alas! What shall I say? That poor wretch unites the Holy of Holies to a prostitute soul, and sells him to iniquity. Yes, that poor wretch plunges his God into a raging hell. Is it possible to conceive anything more dreadful? 4. Unworthy Communion is in certain respects a greater crime than the deicide of the Jews. St. Paul tells us that if the Jews had known Jesus Christ as the Saviour they would never have put him to suffering or death; but can you, my friend, be ignorant of him whom you are going to receive? If you do not bear it in mind, listen to the priest who cries aloud to you: “Behold the Lamb of God; behold him that taketh away the sins of the world.” He is holy and pure. If you are guilty, unhappy man, do not draw near; or else tremble, lest the thunders of heaven be hurled upon your criminal head to punish you and cast your soul into hell. 5. Unworthy Communion imitates and renews the crime of Judas. The traitor, by a kiss of peace, delivered Jesus Christ to his enemies, but the unworthy communicant carries his cruel duplicity yet further. 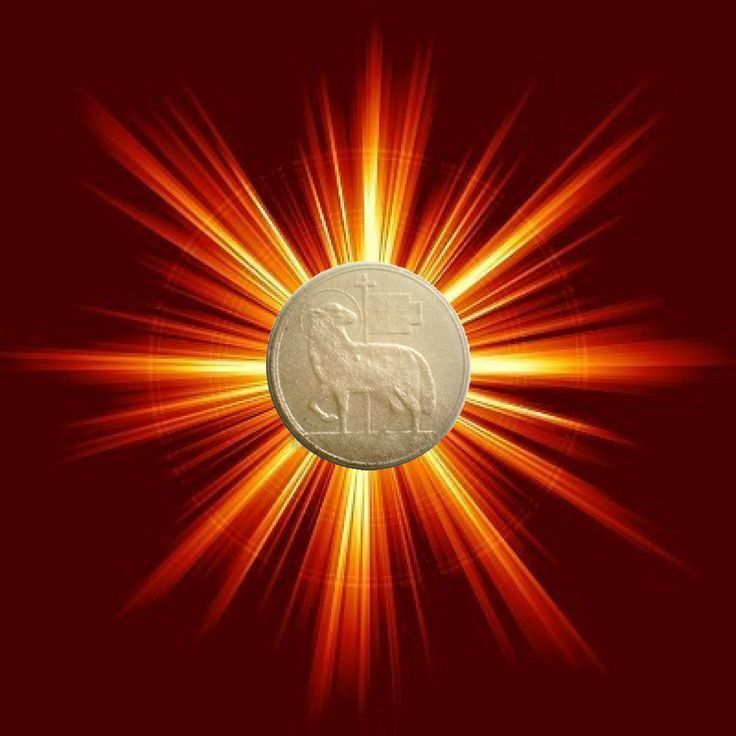 Having lied to the Holy Ghost in the tribunal of penance by hiding or disguising some sin, he dares, this wretch, to go with a hypocritical reverence on his face, and place himself among the faithful destined to eat this Bread. Ah! no, nothing stops this monster of ingratitude; he comes forward and is about to consummate his reprobation. In vain that tender Saviour, seeing that he is coming to him, cries from his tabernacle, as to the perfidious Judas: “Friend, whereto art thou come? What, thou art about to betray thy God and Saviour by a sign of peace? Stop, stop, my son; I pray thee spare me!” Neither the remorse of his conscience nor the tender reproaches made him by his God can stop his criminal steps. He steps forward. He is going to stab his God and Saviour. O heavens! what a horror! Can you indeed behold this wretched murderer of your Creator without trembling? In communion with the Catholic Church of all times and places, I accept the reality of hell and, following Scripture and Tradition, and contrary to the dubious speculations of Hans Urs von Balthasar, accept that many unrepentant sinners have already gone and will continue to go there to join the devil and his angels in eternal fire. In keeping with Christian charity, I do not want to see any soul end up there by dying in a state of unrepented mortal sin — or, what is worse, by compounding that state with still further sins of “eating and drinking condemnation upon oneself,” as St. Paul says (1 Cor 11:29), referring precisely to this problem that the Curé of Ars preached against. The Church and her faithful people always have many needs; but undoubtedly one of those needs today is identifying sin and turning away from it with disgust, rather than compromising with it, condoning it, hiding it, or being afraid to call it by name. We need preachers like St. John Vianney to combat the indifferentism, relativism, universalism, and hedonism in which modern Christians are submerged. Such is the exhortation we receive from Saints Peter and Paul, whose inspired letters proclaim the unadulterated Gospel. Deux Miracles de l'Hostie de la tenture L'Histoire du saint Sacrement, aux armes d'Isabelle de La Jaille, abbesse de 1505 à 1518 de l'abbaye du Ronceray, près d'Angers. France (? ), between 1505 and 1518. Tapestry, linen. Acts 5:1-11 is found neither in the old lectionary nor in the new. The difference, of course, is that the old lectionary includes very little of Acts, whereas the new includes vast swathes of it, which makes the skipping of these verses more interesting. Quoted in Eucharistic Meditations: Extracts from the Writings and Instructions of St. John Vianney, by Abbé H. Convert, trans. Sr. Mary Benvenuta (Wheathampstead: Anthony Clarke Books, 1923, repr. 1964), 92–96. We find the healthy Catholic attitude in a short story by Msgr. Robert Hugh Benson, where a priest is getting ready his holy oils and pyx for a sick call to a Catholic woman who was a public sinner and who had not set foot in a church for over a decade: “I know very well she is out of grace, and I know what will be the end of her if I do not come.” The Supernatural Stories of Monsignor Robert H. Benson (Landisville, PA: Coachwhip Publications, 2010), 207.